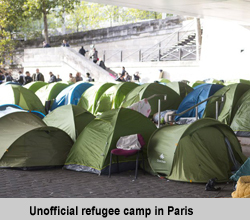 Paris, 1 June 2016: Paris’ Socialist Mayor Anne Hidalgo has rejected criticism to her plans to open a refugee camp in Paris. At a press conference the mayor said the camp would conform to UN conditions. She also listed a number of possible sites in northern Paris and added that the camp could be opened by August. Ms Hidalgo told journalists that she admired the work done at Grande-Synthe near Dunkirk and said the Paris site would equal or better the conditions provided at the Grande-Synthe camp. But local and national opposition politicians called the mayor’s plan a tragic mistake. They point to the already volatile atmosphere in many of the French capital’s northern suburbs. The Paris Mayor believes that the camp would be able to provide temporary accommodation to many hundreds of refugees who are currently sleeping rough in the centre of Paris. She said she was guided by the interest of Paris. “We don’t serve the city’s interests by presenting an image that doesn't reflect our values.” She added that in six months or 15 years she does not want to look herself in the mirror and tell herself that she failed to bring assistance to people in danger. Supporters of the mayor’s plan, including refugee and medical organisations, hope the new facilities will replace many makeshift camps that have sprung up in different parts of Paris, the largest of which houses more than 800 people, including many children, in the north of the city. “Refugees have set up camps in parks, under bridges, near stations and even in private gardens.” Last month the Paris police cleared an unofficial camp of some 1,600 people near the Stalingrad Metro station. Paris City Hall said some 8,000 migrants had been offered shelter in the French capital since the beginning of last year. But, reported The Guardian newspaper, a planned refugee centre in Paris’ wealthy 16th district has attracted strong opposition with more than 50,000 people signing a petition against it. Earlier this year, the organisers of the World Mayor Project announced that the 2016 Prize would be given to a mayor who has accepted the challenges of migration but is also convinced of its longterm benefits. An initial longlist of 31 nominees includes Damien Careme. the Mayor of Grande-Synthe. Berlin, 4 May 2016: Despite a new law banning the letting of entire apartments to tourists, hundreds of such properties were still advertised on the Berlin pages of internet portals such as Airbnb, Wimdu and 9flats. The law, which was passed two years ago and came into force at the beginning of this month, prohibits landlords from subletting their flat for short periods to visitors but allows for sharing with tourists or renting out while on holiday. The law was introduced to ease the chronic housing shortage in the German capital. The city has been absorbing some 40,000 new residents every year since 2008, not counting the 50,000 refugees who arrived last year. Rents are also rising fast. In an analysis published in January, the real estate investment firm CBRE found that there had been an average five per cent rise in rent prices across the city since 2014, and a seven per cent increase in the city's central district. The Berlin tenants association agrees that the direct impact of the new law will be small but believes that that doesn’t make unnecessary. “It’s a signal that rental apartments that exist and are affordable should be available to tenants.” Representatives from the tourist industry fear the new legislation might deter visitors from coming to Berlin. 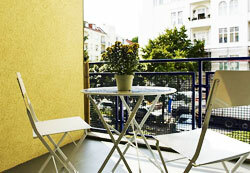 The city is by far the biggest market in Germany for private holiday rentals. It is estimated that some 6.1 million overnight stays in the capital per year are in private properties - more than three times as many as the second city on the list: Hamburg, where there were two million privately rented overnight stays. Last year, a study revealed that Berlin had three times as many illegal holiday flats as officially licensed tourist accommodations. Examining a dozen rental portals, Berlin's city council found 23,000 flats on offer for tourists to rent throughout the city. Only 5,700 apartments were accredited. This meant that, if the study's findings are accurate, Berlin has some 17,000 illegal holiday homes. That's three times the number of officially accredited tourist apartments. Worldwide, Berlin is not the only city that wants to limit the number of holiday apartments. Both Hamburg and Paris have recently strengthened regulations overseeing the holiday letting market and last year Barcelona fined Airbnb for listing flats that did not possess the required permits. Antwerp, 29 March 2016: The mayor of Antwerp, the largest city of the Flemish speaking part of Belgium, has partly blamed Germany and Belgium’s failed integration policies for last week’s terrorist attacks in Brussels. Mayor Bart de Wever described German Chancellor Angela Merkel’s decision to allow hundreds of thousands of refugees from Syria to apply for asylum in German as a fundamental mistake. He also said that Belgium had not been able to offer the country’s Muslim youths its version of the ‘American Dream’. 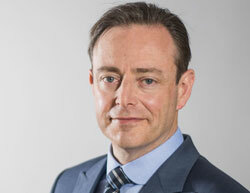 Bart de Wever is leader of the separatist New Flemish Alliance (N-VA), which, since its foundation in 2001, has been advocating splitting Belgium into Flemish- and French-speaking parts. Since the last general election, the N-VA is the largest party in the Belgium parliament. In the European parliament, the party co-operates with other right-wing parties such as Poland’s Law and Justice Party and Germany’s Alternative for Germany but also with Britain’s Conservative Party. Since he became Mayor of Antwerp in 2013, de Wever has been accused of introducing anti-immigrant and anti-Muslim policies. 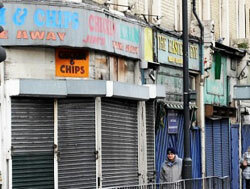 The mayor’s opponents cite the introduction of a special tax on small shops, which operate all night in the city. 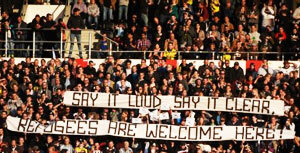 Opposition politicians in Antwerp described the measure as a form of hidden racism. “We should be encouraging this kind of enterprise, which shows immigrants are participating actively in the Belgian economy,” one councillor said. Mayor de Wever does not accept that his administration promotes anti-immigrant policies and points out that the city is increasing its efforts to recruit young people from immigrant families for the police force. At the moment only two per cent of Antwerp’s 2,500 police officers have a migrant background. Newcastle, 1 March 2016: A recent survey warns the UK government not to neglect smaller towns and cities in its attempt to re-balance the British economy away from London. Under a concept conceived by Chancellor (Finance Minister) George Osborne and named the ‘Northern Powerhouse’, the government is planning to devolve powers to the largest northern cities such as Manchester, Liverpool and Leeds. But the report by the Joseph Rowntree Foundation fears that the government’s scheme risks leaving the poorest communities behind. The report, which was prepared for Rowntree by Newcastle University, shows that 10 of Britain’s most struggling communities are in Northern England. In fact, no town or city in the south of the country features among the 24 poorest places in the country. So far, the Northern Powerhouse and devolution agenda has focussed on the Core Cities, the biggest cities in the country, with devolution deals already signed for areas such as Greater Manchester and Sheffield City Region. But the report demonstrates that for wider prosperity and rebalancing, areas outside the biggest cities must also share in the benefits of investment and devolution. The study analysed the fortunes of 74 cities with populations over 100,000 people. The index is based on changes in employment rates, levels of highly-qualified workers, the number and type of full-time jobs, net migration rates, population change and change in rank. Uneven growth: tackling city decline, by researchers at the Centre for Urban and Regional Development Studies (CURDS) at Newcastle University, examines how these places are faring compared to each other and the national average. It demonstrates that many of them are growing, but found growth in many northern cities is lagging significantly behind national levels. For instance, cities in the south have seen a much stronger growth in full-time equivalent job creation, benefitting places such as Exeter and Milton Keynes, while Burnley and Stoke have struggled. In the top 12 struggling cities, full-time job creation fell back by -2.1 per cent according to the index, compared to growth of 1.9% for the national average and 5.4 Per cent in the top 12 best performing cities. The research says that economic growth alone will not necessarily reduce poverty in cities, so comprehensive and integrated packages of long-term policies around economic development, employment and skills and infrastructure are required. Central government has a key role to play. As it stands, there is little financial incentive for town halls to address poverty. Many of the benefits generated and savings made accrue to central government. For example, local authorities receive just 7p in the £1 of the savings from helping someone out-of-work find a job at the Living Wage. By contrast, 80p goes to central government, separate figures for Rowntree show. Professor Andy Pike, co-author of the report, said: “Economic and social conditions in UK cities are diverging and increasingly different. Many cities in the north are growing but are failing to keep up with national trends. There are three kinds of such cities  ‘core’, ‘overshadowed’ and ‘freestanding’  each with different predicaments and potentials for growth and prosperity. If the commitment to rebalancing in the UK is meaningful then greater policy attention and resources by central and local government needs to be focused upon the particular needs of these cities lagging behind”. Cologne, 25 February 2016: In Germany, which has accepted more than one million refugees since the beginning of last year, towns and cities feel surprisingly sanguine about the arrivals from Syria and other war-torn regions. Yes, having to accommodate hundreds and often thousands of people who, due to their backgrounds pose very different challenges, can stretch community services to breaking point, but in a recent survey, more than half of the country’s towns and cities maintain that they can cope. Only six per cent of communities said they could not handle any more refugees, while 16 per cent believed they could accept more. The survey, which was carried out by the German TV channel ARD, also provides information about the distribution of refugees across Germany. While on average, there are 14.5 refugees per 1,000 local people, there are great differences between communities in various parts of the country. Towns and cities in Bavaria and North-Rhine Westfalia have taken in an above average number of arrivals, while many cities in prosperous Baden-Wuerttemberg are lagging behind. Not one refugee has been settled in the university City of Freiburg. Lichtenfels, a town of some 20,000 people in Lower Bavaria, has been the most welcoming, accepting some 78 refugees per 1,000 local residents, or more than 1,550 in total. The town’s Social Democrat mayor Andreas Hügerich said that local people supported his administration’s efforts to integrate as many new arrivals as possible as quickly as possible into the town’s everyday life. The survey was conducted among 373 towns and cities. The 2016 World Mayor Prize will be awarded to a mayor and city who have accepted the challenges of immigration and are also convinced of its longterm benefits. Athens, 8 February 2016: Following last Friday’s protests against a planned reception centre for migrants on the Greek island of Kos, the mayor has warned that future protests may turn violent. Scuffles broke out between a group of residents and the police. Police employed tear gas to disperse the crowd after three people including a journalist, who covered the event, were injured. "About 100 people tried to enter the facilities under construction, and we fired tear gas," a police spokesman said. Kos mayor Yiorgos Kyritsis sent a letter to the Greek Prime Minister Alexis Tsipras warning that local opposition to the new migrant registration centre could lead to "uncontrollable" protests. "There is a present danger that we will mourn victims and be led to uncontrollable situations," the state news agency ANA cited him as writing. The centre on Kos is one of five that the Greek government has pledged to build by the end of February, under European pressure to stem the number of migrants arriving and then travelling north without being registered. While the islands of Lesbos, Leros, Samos and Chios have welcomed the plans, the authorities in Kos have been opposed from the start. 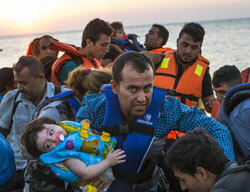 As a compromise, Mayor Kyritsis has suggested that refugees could be registered on Kos but then swiftly moved on to mainland locations. Meanwhile after meeting the Greek Prime Minister, French and German interior ministers promised to send staff reinforcements and coast guard vessels to help Greece but called on all EU member countries to cooperate. "We must find European solutions or everything we have been building for decades will be destroyed in a year," German Interior Minister Thomas de Maiziere warned. Milan, 1 January 2016: After a ban of New Year’s fireworks in many Italian cities, Naples, Rome and Milan have introduced restrictions on the use of cars and motor scooters. The measures were introduced after in recent days levels of pollutions have exceeded legal limits, posing a public health risks. The Italian government has drafted new measures to combat the rising pollution levels, exacerbated by a lack of rain and wind. In Naples, private motor vehicles have been banned until the middle of the week. Milan has banned private cars and scooters for six hours a day, while in Rome authorities introduced a system whereby cars can only be driven on alternate days. Pollution is a rising problem in Italy, where thick clouds of smog can often be seen hovering over major cities such as Rome and Milan. 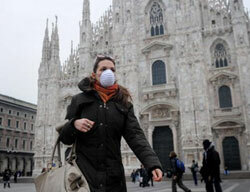 Milan’s Mayor Giuliano Pisapia urged residents to observe the ban. Paris, 15 Novembre 2015: La Maire de Paris, Anne Hidalgo, s’est rendue samedi dans les centres hospitaliers et sur les lieux des attaques terroristes. Elle s’est recueillie en silence aux côtés des Parisiens et a partagé la douleur des familles. Les services municipaux, fédérés par une cellule de crise dès les attaques terroristes, restent mobilisés en continue. « Je veux dire aux victimes et à leurs familles que toutes nos pensées vont vers elles en ce moment d’horreur. Beaucoup de Parisiens sont dans la douleur, ont perdu des proches, souvent très jeunes, et cette douleur nous la partageons avec eux », a souligné la Maire de Paris. « Paris restera debout et que les Parisiens seront plus forts que ceux qui veulent les résoudre au silence ». Paris, 15 Novenber 2015: Following Friday night’s terrorist attacks on Paris, the city’s Mayor Anne Hidalgo visited hospitals and the scenes of the carnage. She stood in silence alongside Parisians and shared the grief of the families and friends of the victims. 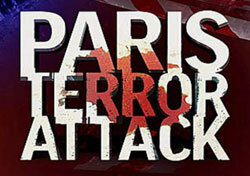 "I say to the victims and their families that all our thoughts are with them at this time of horror. Many Parisians are in pain, having lost loved ones, often very young, and we share this pain with them," Anne Hidalgo said. "Paris will remain standing and Parisians will be stronger than those who want to silence us." "Our response is collective, as it was after the attacks on Charlie Hebdo in January. While we express our anger, our pain and grief, we also affirm to the world that we will not compromise our lifestyle, our living together, our ability to accept differences of others while being all part of Paris. Parisians have always stood united against evil,"expressed Anne Hidalgo. Nimes, 3 November 2015: The founder of Reporters sans Frontières and now Mayor of Beziers has been accused of creating an atmosphere of hate and intolerance in his French city after three opposition politicians received death threats. The letters, which were sent to the local Communist Party headquarters, contained Klu Klux Klan images and threatened to take actions against the three if they did not stop supporting Syrian refugees. 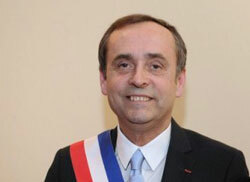 Since assuming office in April 2014, Mayor Robert Ménard has gained national notoriety for his campaign against refugees. He does not shy away from personally barging into apartments occupied by refugees and telling them they were not welcome in Beziers. Robert Ménard, whose family was forced to leave Algeria after the country’s independence, counted former Socialist President François Mitterand among his supporters, when, in the mid-1970s as a member of the Socialist Party, he campaigned for the liberalisation of radio airwaves. In 1985, he founded Reporters sans Frontières (Reporters without Borders) and as recently as 2008, Ménard together with others from the organisation, tried to disrupt the opening of the Olympic Games in protest against China’s treatment of Tibetan civil rights activists. Since then, however, many of his former colleagues have denounced him while contemplating whether he has had some sort of mental breakdown. They can’t understand how a liberal internationalist can develop an obsessive hatred of Muslim immigrants. Rome, 2 November 2015: Italy’s interior minister has asked the former Prefect of Milan to take over from the ousted Mayor of Rome. Ignazio Marino, who was elected in 2013, was last week forced to step down after more than half of Rome’s councillors resigned, including those of his own centre-left Democratic Party. The mayor had announced his resignation in October, only to withdraw it last week. The resignation of 26 councillors out of a total of 48 automatically forced the mayor to relinquish his post. Francesco Paolo Tronca, who was in charge of security at this year’s Milan Expo, will administer the Italian capital until elections are held in the spring of next year. 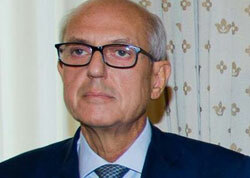 Interior Minister Angelino Alfano told reporters that Paolo Tronco had succeeded in keeping the Mafia out of the Expo. "We managed to pull off a Mafia-free Expo by keeping at bay more than 100 businesses that could have had connections with mobsters,” the minister told an Italian radio station. Tronco will take over a few weeks before Rome celebrates the Jubilee of Mercy. The interim commissioner met Pope Francis yesterday and said the Pontiff had encouraged him to take on the job. Tronco’s priorities will include preparing the city for the Jubilee, addressing severe problems with the public transport system and reversing the poor state of cleanliness and maintenance of many parts of the capital. Ignazio Marino, who was elected mayor in 2013, has for months been accused by opponents from the left and right of the Italian political spectrum of incompetence. His administration seemed to have been unable to provide reliable public transport and guarantee regular rubbish collection services. Recently, Pope Francis became the latest critic of the deposed mayor, calling him a ‘pretend Catholic’ and doubting whether under his rule Rome could successfully host this year’s ‘Holy Year of Mercy’ and provide accommodation for hundreds of thousands of pilgrims. Cologne, 19 October 2015: Cologne elected the victim of a xenophobic knife attack as its new mayor. Henriette Reker, an independent candidate, was stabbed in the neck while campaigning on Saturday, one day before yesterday’s election. According to a police spokesman, the attacker, an unemployed German national, is known for opposing Germany’s refugee-friendly policies. In his first interview with the police, the attacker is believed to have claimed that refugees had stolen his job and that he feared the country would soon be governed by Sharia law. When he stabbed Ms Reker, by-standers heard him shouting “I do this for your children’. Three other people were injured in the attack. 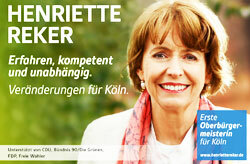 Henriette Reker, who contested the election with the support of the conservative Christian Democrats, the pro-business Free Democrats and the Green Party, won 53 per cent the vote. Her Social Democrat rival was supported by 32 per cent of voters. The Social Democrats remain the largest group on the city council. Working for Cologne’s social services department, Ms Reker was responsible for finding accommodation for newly-arriving refugees. She will be the city’s first female mayor. Rome, 11 October 2015: Beppe Grillo, the unpredictable leader of Italy’s anti-establishment Five-Star Movement, emerged as one of the contenders for Mayor of Rome after Ignazio Marino, the incumbent mayor, suddenly resigned last week. Grillo has been one of the fiercest critics of the outgoing mayor and pundits say he would stand a good chance of being elected, should he choose to run for mayor. However, it is not clear whether his conviction of manslaughter for a car accident in 1980, in which three of his passengers died, could legally prevent him from standing for public office. Ignazio Marino, who was elected mayor in 2013, has for months been accused by opponents from the left and right of the Italian political spectrum of incompetence. His administration seemed to have been unable to provide reliable public transport and guarantee regular rubbish collection services. Recently, Pope Francis became the latest critic of the mayor, calling him a ‘pretend Catholic’ and doubting whether under his rule Rome could successfully host this year’s ‘Holy Year of Mercy’ and provide accommodation for hundreds of thousands of pilgrims. Marino’s resignation could also jeopardise Rome’s bid for the 2024 Summer Olympics. Earlier this month, Rome’s public prosecutor has opened an investigation following allegations that Marino may have used his official credit card to pay for personal expenses. While the mayor has denied any wrongdoing, he offered to pay back some €20,000. Since the beginning of the year, Mayor Marino has become increasingly isolated. Even members of his own centre-left Democratic Party offering only lukewarm support. The resignation of three members of his own cabinet earlier last week made it clear that the mayor’s days were numbered. In his resignation letter, Ignazio Marino wrote that in his 27 months in office, he had initiated “epochal changes” to the city’s often shady bidding procedures and governance, but faced a problem of “political conditions” needed to carry them out. 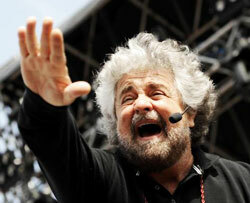 Beppe Grillo, meanwhile, uses increasingly the language of right-wing parties. In a Twitter post, he accused the mayor of letting Rome being “swamped by rats, rubbish and illegal immigrants”. Last month, he posted an image of Italy’s interior minister ‘blacked up’ in conjunction with criticism of the country’s immigration policy. The German ministry responsible for housing has announced that it would be funding the construction of 350,000 public-housing units for refugees this year and a similar number next year. “The current budget of €600 million for public housing in municipalities would be doubled,” the minister said. Two weeks ago, German ministers met to rewrite the country’s meticulous building regulations to allow for lower standards of housing so that hundreds of thousands of prefab homes can be built under government contracts by the end of the year. However, many city leaders like Hannover’s Mayor Stefan Schostok doubt whether the money promised by the government would be enough. When he presented his budget for 2016, Mayor Schostok told councillors that, compared to 2013, the annual cost of housing and caring for refugees would increase tenfold. In 2013, the city spent some €10 million on refugees. Next year, the city will have to find at least €75 million for the building and acquisition of housing and budget for another €144 million for food, medical care, education and other social services. “The €42 million promised so far by the government are woefully inadequate,” the mayor said. Despite the immediate financial and organisational challenges, many mayors are eager to receive refugees. In Leipzig - a city that has lost some 250,000 people since the re-unification of West and East Germany - Mayor Burkhard Jung said he wanted to house as many refugees as possible. “It is both a responsibility and an opportunity for us,” he said. Other German cities plan to house refugees in military barracks left empty after the withdrawal of US forces from Germany. Cities like Munich, Düsseldorf, Stuttgart and Freiburg have established ‘welcome departments’ within their city halls to prepare for the arrival of refugees and to co-ordinate the employment of volunteers. It is estimated that since the German government announced that the country would accept refugees from Syria and other war zones in the Middle East, some 150,000 Germans have donated money, food, clothing and offered to volunteer at the many refugee reception centres. The national charity Flüchtlinge Willkommen (Refugees Welcome), which was set up by Berlin students in January, encourages people to offer their spare rooms to refugees. It has operational centres in more than 20 cities, including in smaller ones like Offenburg, Hildesheim, Norderstedt and Konstanz.